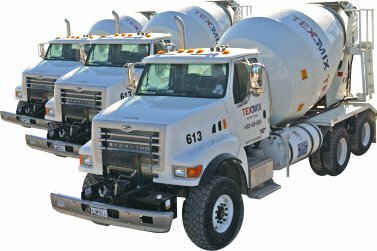 Tex-Mix Concrete can meet all of your ready-mix concrete needs in the greater Austin, San Antonio, and surrounding areas. Our newest plant is located in Spicewood. We have 12 plants conveniently located on I-35 and Texas 130 that can supply TxDOT and city approved mixes for your projects. We understand that both a quality product and quality service are required for your concrete placement. 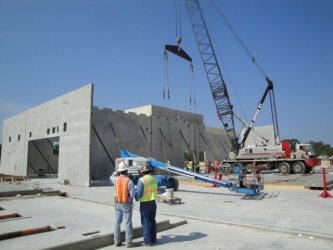 Quality concrete is nothing if it is not delivered how you need it and when you need it. That is why we confirm each order before delivery to ensure on-job time, mix id and slump. Ready-Mix concrete has recycled content and all materials are sourced from within 500 miles of our plants. We also can source recycled base material made from recycled concrete. Make sure you are getting the proper credits for your next LEED project. If you would like pricing or more information, we invite you to call us at 512-801-0516, or email us at info@tex-mixconcrete.com.